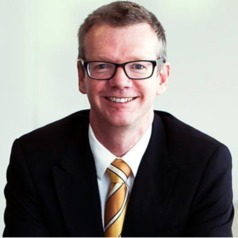 Jeff Coulton is a Senior Lecturer in the UNSW Business School, and has taught at the University of Texas at Austin. Jeff worked as a solicitor for Corrs Chambers Westgarth for a number of years before returning to academia. Jeff's research interests include voluntary disclosure, executive remuneration, corporate governance and earnings management, and he has published articles on earnings management, the disclosure of executive compensation and corporate governance. Jeff's current teaching interest is in the area of financial statement analysis; focusing on business strategy analysis to inform the use of accounting information and other public disclosures in firm valuation. He has also experience in teaching financial reporting courses.